If the thought of feeding a crowd feels overwhelming to you, hatch a plan now for the ultimate Thanksgiving fare when you still have time to mull things over. Whether you plan to add accompanying recipes to your family favorites, or you want to try a new dishes, these options will help you get your table covered. 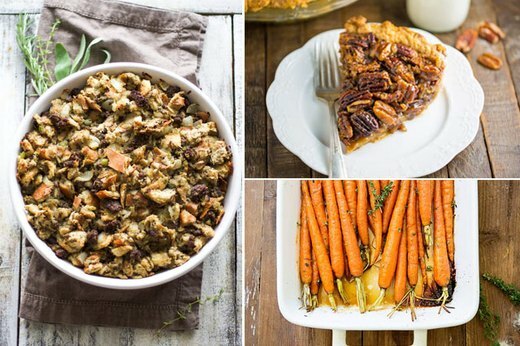 From classic mashed potatoes and heaps of herbed stuffing, to sweet potato casserole and rich pecan pie, we've got you covered. 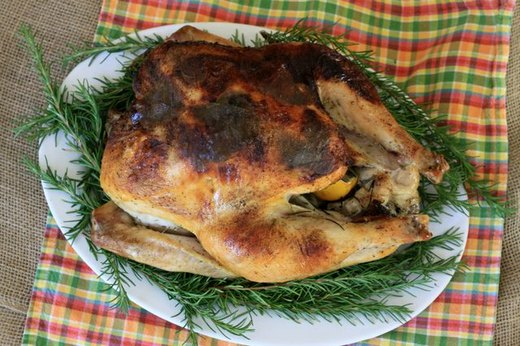 Three secrets to a turkey that is deep brown on the outside and so flavorful and moist on the inside that every bite practically melts in your mouth. Our foolproof guide to delicious results every time. 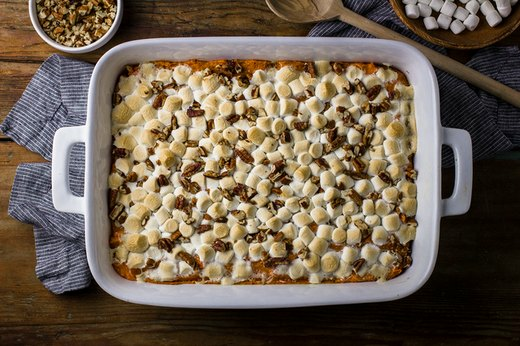 Sweet potatoes may be heralded as a healthy choice, but on Thanksgiving, a marshmallow-topped sweet potato casserole makes the veggie a tad more indulgent. But who can say no to this recipe's creamy sweet potato, sticky marshmallows and crunchy pecan topping? It’s a side that doubles as a dessert, so get ready to dish out seconds! Every Thanksgiving table should include some root vegetables. 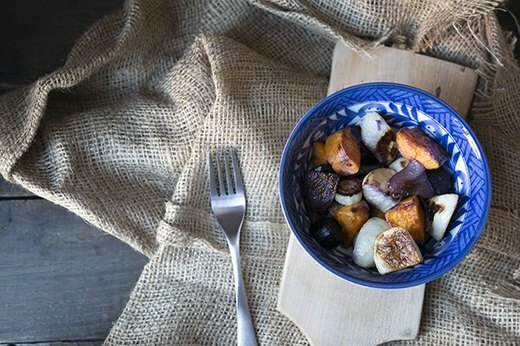 They're ideal for eating during the colder months and there's no better way to enjoy them than roasting in a super hot oven. So simple, so delicious. 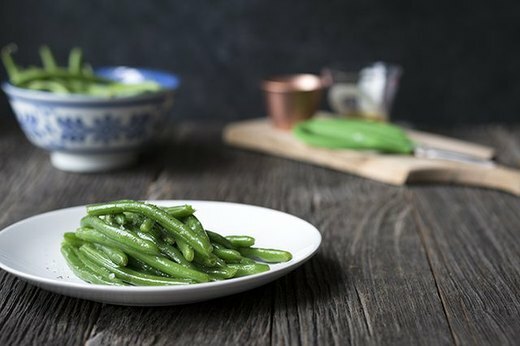 While many Thanksgiving tables have the requisite green bean side, it is definitely difficult to time your meal so that these lovely green veggies don’t come out limp and overcooked. Instead of playing a guessing game with your green beans, cook fresh green beans perfectly by simmering them for about 5 minutes before the meal is served. Add a dash of sea salt, and you will have a vegetable even the kids will love. 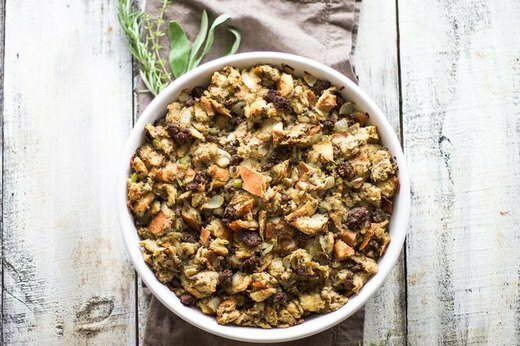 While some may argue that this meal revolves around the turkey, this stuffing will beg you to differ. Packed full of dynamic flavors like Italian sausage and freshly chopped herbs, this stuffing will be the understated star of the show. Hey, gluten-free folks, we've got you covered! 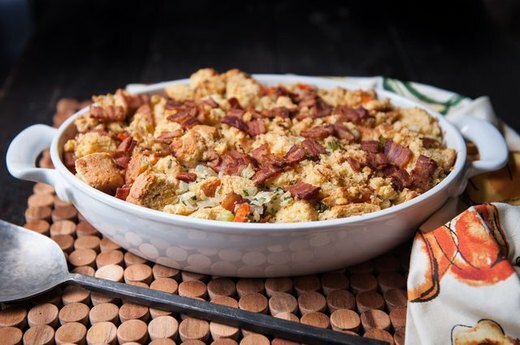 This version of GF cornbread stuffing is so good even your bread eaters will ask for the recipe. When you plan your meal around the big contenders — like the turkey, stuffing and desserts — minor players like the veggies can get ignored. 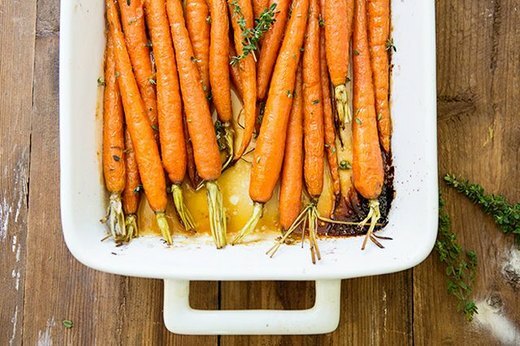 This won't be the case with these oven-roasted honey and rum glazed carrots. These babies make a beautiful addition to a buffet, and they add a crunchy sweetness to the rest of your meal. 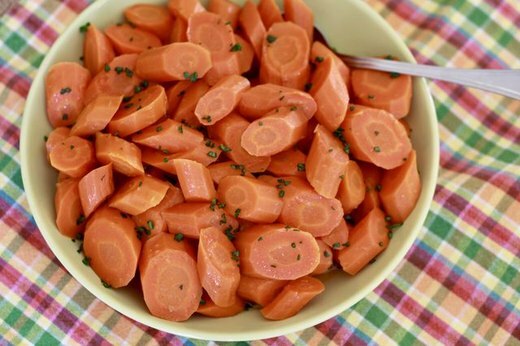 If you think you're going to run out of oven space, or you just want to do a set it and forget it side dish, this recipe of maple glazed carrots made in a slow cooker is for you. You'll get delicious results every time! 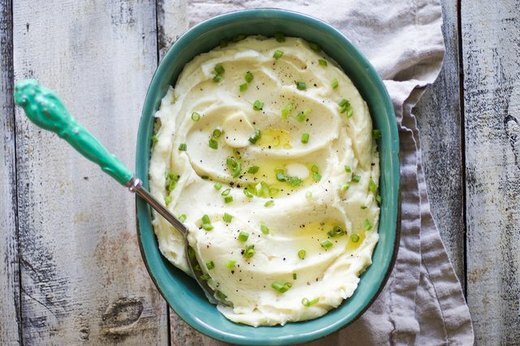 Whipped mashed potatoes can be transformed with just the right amount of cream and butter — and this recipe does not disappoint. Whether you plan to create a moat for your gravy or simply eat them plain, these mashed potatoes have a creamy texture and hint of garlic that make them incredibly satisfying. 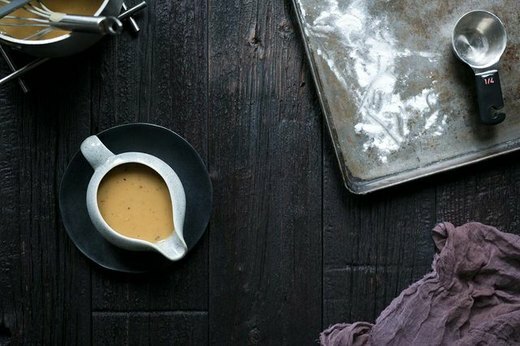 Take the flavor profile of your Thanksgiving meal to new heights with a homemade gravy made from pan drippings, fresh herbs and homemade stock. The added benefit is that this gravy will absolutely make sure that your turkey is never dry and your potatoes are anything but boring. 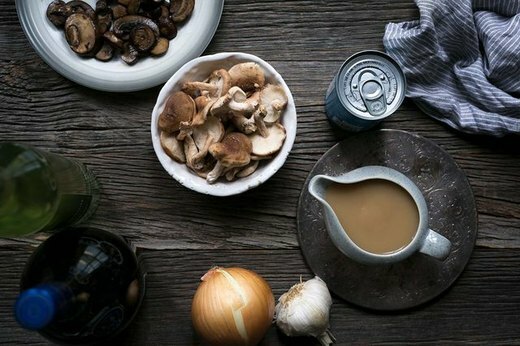 If you aren't up for making homemade gravy and prefer to use the canned variety, here are four easy ways to make gravy taste better. No one will ever know it isn't homemade! We love culinary tricks like this recipe. 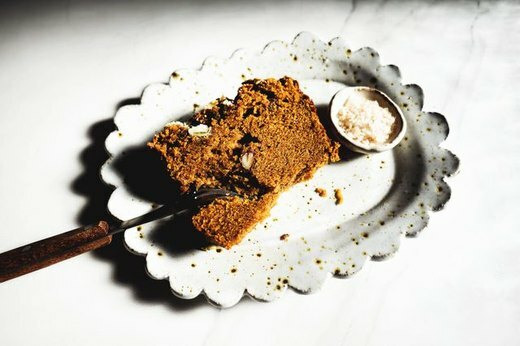 This easy-to-make pumpkin bread is make with a pumpkin pie mix. The hardest part about this recipe is waiting for it to bake! 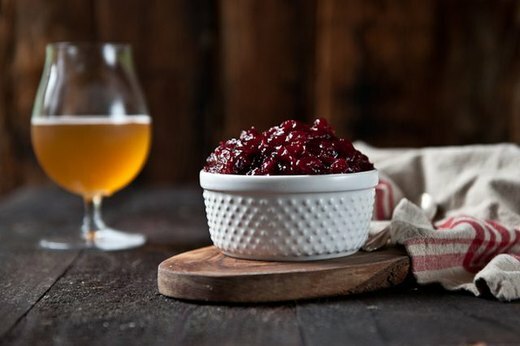 If you want to forgo the canned variety and go a little gourmet, this homemade cranberry sauce is easy to make, tart, refreshing... and what your leftover turkey sandwiches will be begging for. Creamy textures, pumpkin spice flavor, and a salty-sweet graham cracker crust definitely contribute to why pumpkin cheesecake should be your go-to dessert this Thanksgiving. Why, you ask? 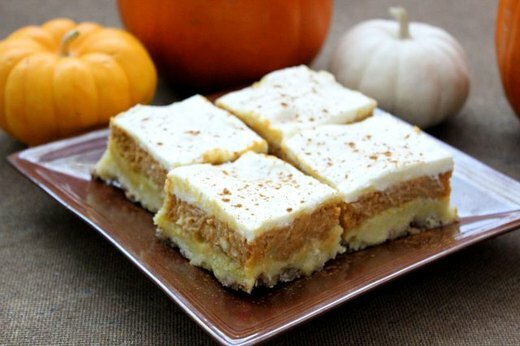 The flavors of pumpkin pie and cheesecake combine to make the best of both worlds. A piece of pie is the perfect treat after a hearty Thanksgiving meal, and this pecan pie has everything a good dessert needs. It's sweet and crunchy, rich and flaky — basically, it's everything you love about eating in every bite. Whether you're gluten-free or low-carb (or both! 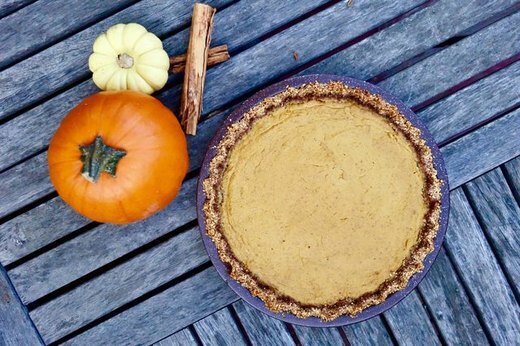 ), this pumpkin pie recipe is for you. 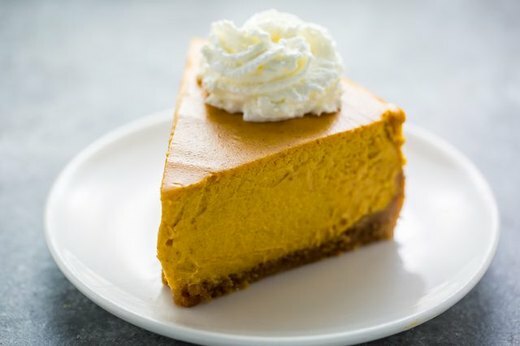 The end result of this dish is a rustic pie with a rich and creamy pumpkin filling in a crumbly almond crust with only about 4.75 grams of net carbs per serving! These individual apple pies are dessert showstoppers. 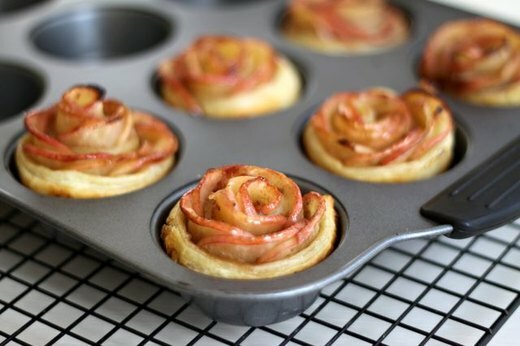 Miniature rose-shaped pies are sure to delight all of your guests. And take our word for it, this recipe is simpler than you might think. 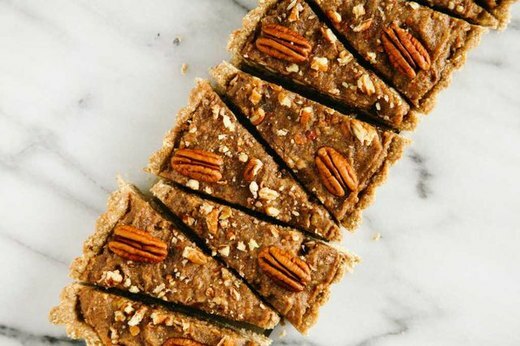 This naturally gluten-free, vegan pecan and date tart recipe allows you to skip the excessive processed sugars and butter of traditional recipes. Plus, it's no-bake! Going back for seconds for this dessert won't leave you with any of the guilt. This alternative to traditional pumpkin pie boasts a crunchy pecan crust, sweet pumpkin filling and cream cheese frosting. Even if you're not the biggest fan of pumpkin, you might change your mind after one bite of this crisp. Nothing goes better on a warm piece of pie than a large scoop of vanilla ice cream. 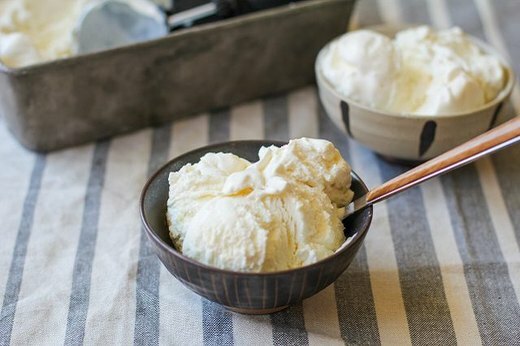 Wow your guests by making this vanilla ice cream from scratch. With a few tools, cream, condensed milk, vanilla and sugar, you’ll have churned ice cream for your delectable dessert. It’s definitely worth it. Some Thanksgiving eaters just aren't pie people. 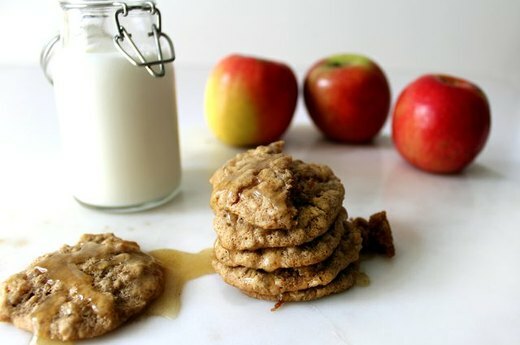 So, why not serve cookies made with Honeycrisp apples and topped with a warm brown butter glaze? Better make a double batch of these just in case. 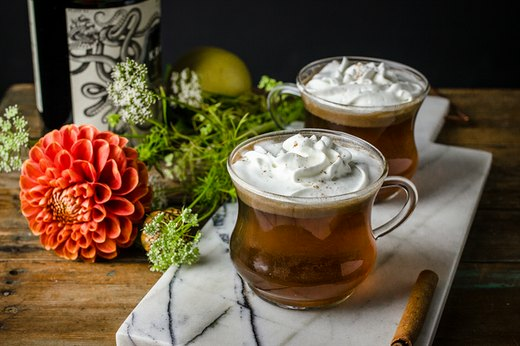 When dinner is over, and you are completely satisfied, sit by the fire and sip on a glass of this deliciously decadent hot buttered rum. With a swirl of whipped cream and a hint of lemon zest, this boozy drink can be the flawless conclusion to a gourmet evening. 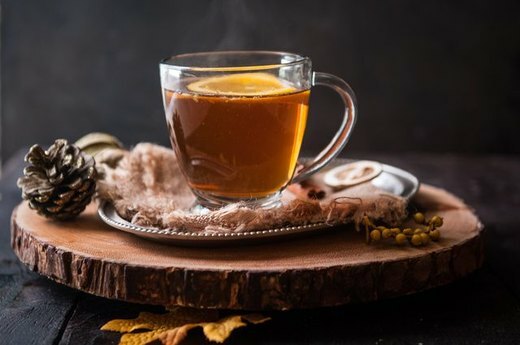 If rum isn't your thing -- or you want to make a hot drink for the kids -- this mulled cider will warm your belly while infusing your home with the aroma of autumn.